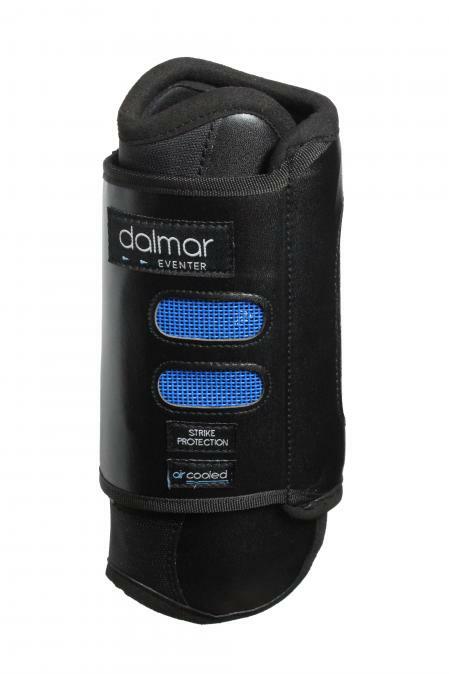 Dalmar Eventer Boots are ideal for Eventing and Cross Country horse riding. New 2012 design, see below for more details. 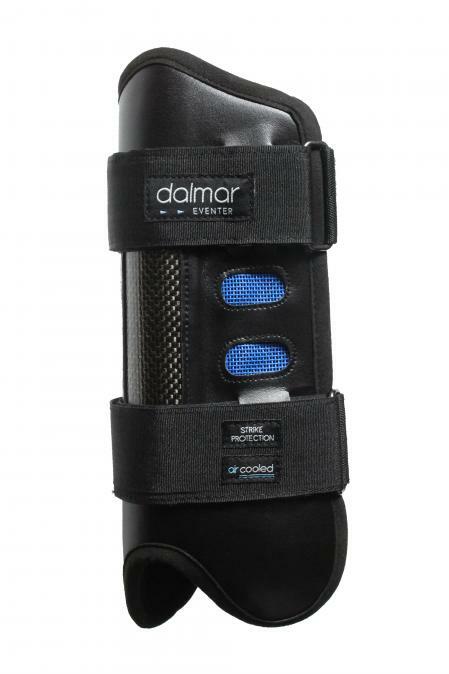 The Eventer front horse boots and Eventer hind horse boots include the Dalmar patented air cooling system, which prevents the common problem of tendon damage caused by overheating during eventing and cross country. 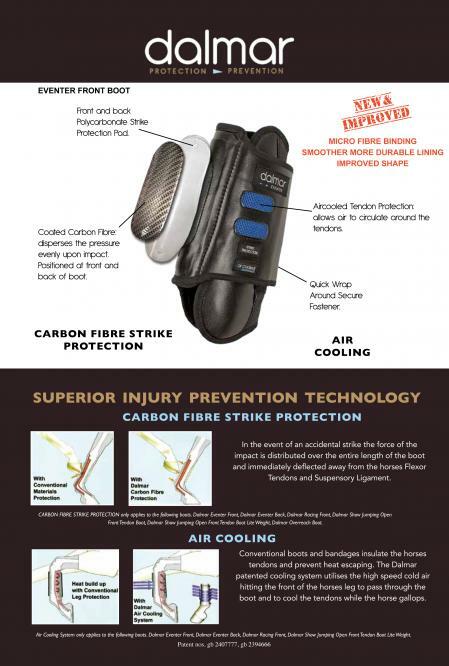 Carbon fibre is used in the boots to protect the suspensory ligament, canon bone and fetlock joint. 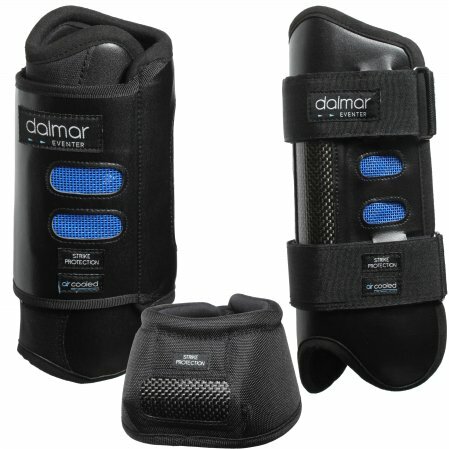 Dalmar eventer boots are high performance horse boots, manufactured using F1 technology to provide fantastic protection while being light weight. The Manufacture: Dalmar Horse Boots Ireland. Manufactures of the World's most technologically advanced horse boots for the effective prevention of lower leg injury in horses. 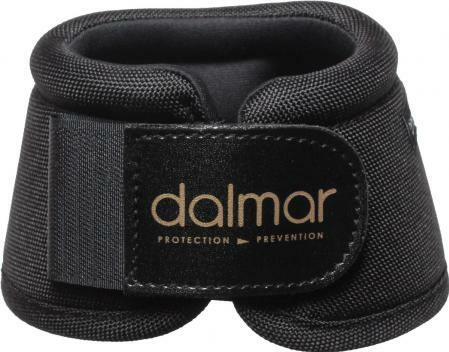 Dalmar has applied the benefits of the latest materials technology transferred from the Formula One and Aerospace industries to give maximum protection to your horse with minimum weight constraint. 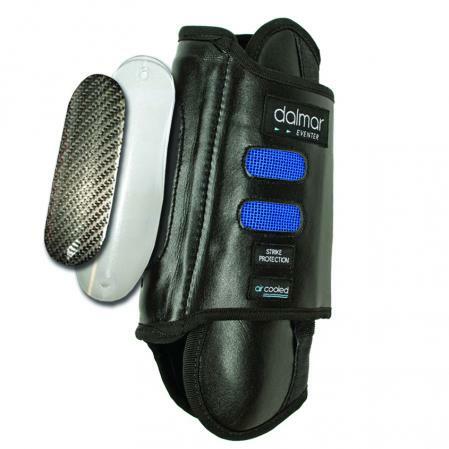 Dalmar horse boots range includes horse boots for the specific needs of equestrian disciplines including eventing, racing and show jumping. Machine wash at low temperatures not exceeding 30 degree C.
Alternatively, hand wash by hosing and wiping with a cloth or soft brush. When all dirt is removed shake off excess water and hang up to dry. To maximise the life of the boots hand washing is recommended. It is important to keep hook and hoop fasteners clean and unlogged. When not in use always store these boots clean and dry, in the supplied storage bag (where provided). To prevent damage while in storage ensure that they are stored rolled together and not under a heavy load. These boots are high performance products. To function properly they must be kept in good condition. Horseware did take on board some comments that we received previously and examined a proportionate amount of the boots that presented issues. In the majority of those cases, the boots were found to be very worn on the inside and when a hard impact was made, the strike plate absorbed the shock and force of the impact, and in some cases, broke in the process. Due to the high level of wear on the inside of the boot, it may have been possible that the edge of the strike plate, whether broken or not, was able to rub the horses leg. We would never recommend continued use of a boot that has suffered wear on the inside. 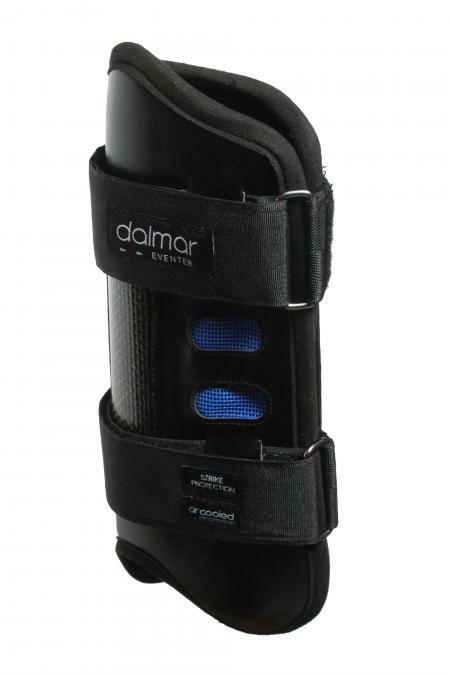 Note: The new design has a light neoprene lining to help prevent excessive wear on the inside of the boot. 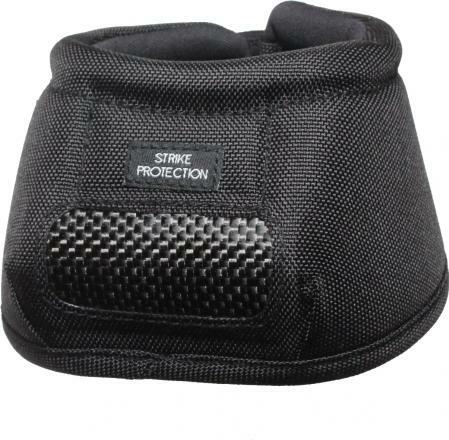 The strike plate is not designed to never break as the force of impact has to be absorbed in some way. However we have made improvements to parts of the boot including the strike plate as part of our ongoing commitment to keeping our products fresh. If your horse suffers a severe impact that shatters the strike plate, it will not affect his leg if the inside of the boot is well maintained. 5 stars Great product. Wonderful service and quick postage- made it to Tasmania, Australia in about 8 days. 5 stars Cannot believe what great value this Combi Pack represents!! 5 stars Geländegamaschen der Extraklasse, perfekter Schutz und 1A Klettverschluss. Sitzen superfest, da bleibt auch im Wasser die Gamasche an den Beinen. FIVE STARS ! Carbon fibre reinforced plastic is made from long thin sheets of graphite-like carbon packed to form a fibre and a resin. It has the highest specific tensile strength of all the reinforced materials, and it has a high strength to weight ratio and low coefficient of thermal expansion. The density of carbon fibre is also vastly lower than the density of steel. Carbon fibre takes the form of several thousand long, thin strands of material which are mostly composed of carbon atoms. 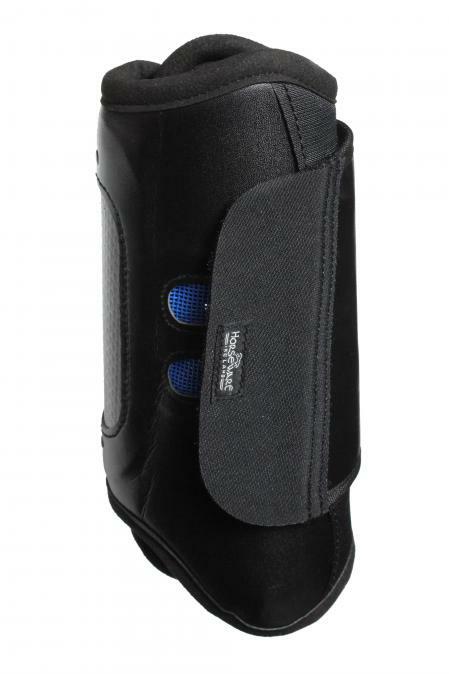 In the event of an accidental strike the force of the impact is distributed over the entire length of the boot and immediately deflected away from the horses Flexor Tendons and Suspensory Ligaments. Sorry no stock, we will order from the manufacture for you, esitmated delivery time 8 days.